Bulky items to be picked up at no charge include furniture, appliances, carpet, fence material, up to four non-commercial vehicle tires, old toys and other large items that would normally require a special fee. No liquid waste, limbs, brush, tree stumps, roofing, remodeling or commercial material will be picked up. Paint must be dried out with oil dry or kitty litter. TYLER, Texas — The City of Tyler Solid Waste Department and Keep Tyler Beautiful are sponsoring a free bulky item collection for City of Tyler residential customers, excluding multi-family communities/home communities. This year, the Solid Waste Department will be picking up items for one week only from Monday, April 29, through Friday, May 3. Those participating in this campaign should place bulky items on the curb by Monday, April 29. 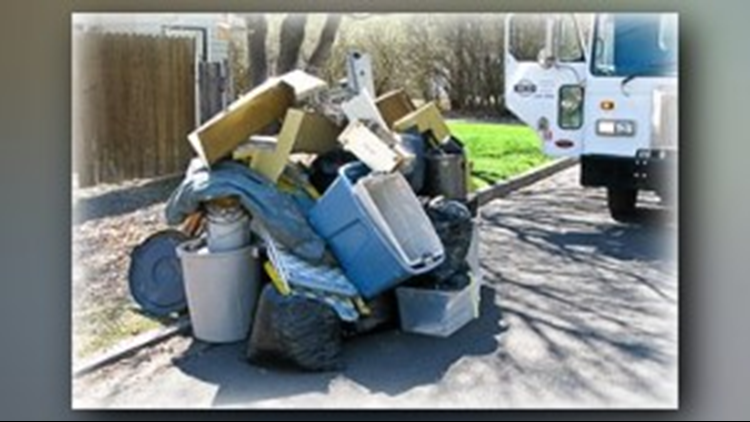 There is no need to call the Solid Waste Office when bulky items are placed at the curb. However, please note that items may be collected on a different day from regularly scheduled garbage collection. If items have not been collected by Saturday, May 4, please notify the Solid Waste Office by emailing solidwaste@tylertexas.com or calling 903-531-1388. For more information about the free bulky item collection, visit www.TylerSolidWaste.com.